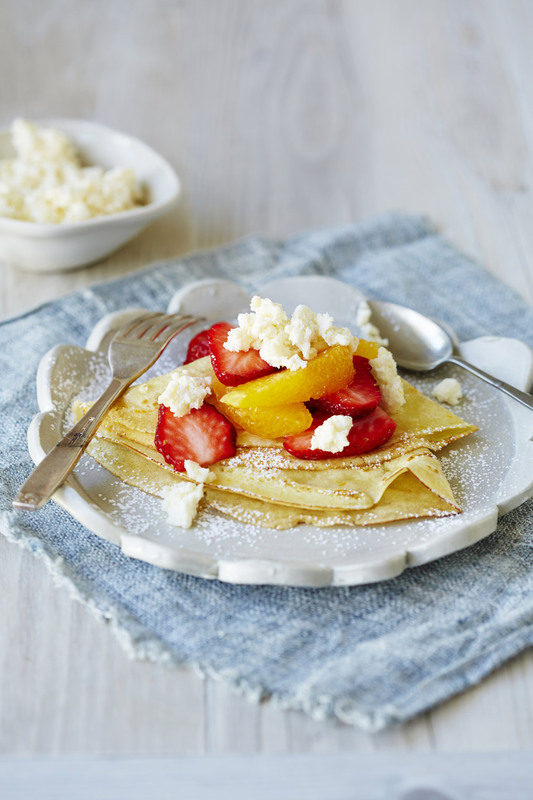 This healthy, citrus pancake recipe is perfect for weekend breakfasts. Such a special treat for your family! Combine flour, chia seeds, orange rind and sugar in a medium bowl. Whisk egg and milk in a jug until combined. Whisk into flour mixture until smooth. Set aside for 10 minutes. Meanwhile, combine ricotta and honey in a small bowl. Heat a small non-stick frying pan over medium heat. Add 2 tsps of auzure Canola Oil. Pour in 2-3 tbps of batter to make a crepe and swirl mixture to evenly cover the pan. Cook for 1 minute on each side or until golden and cooked through. 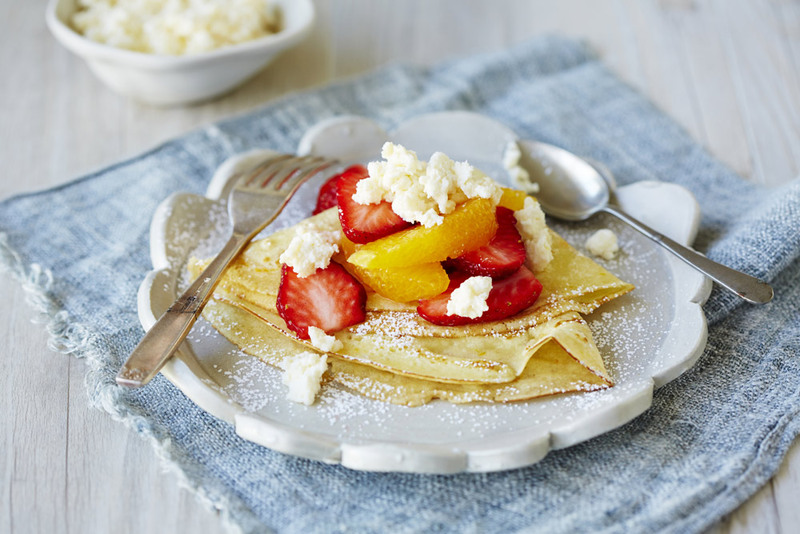 Top pancakes with honeyed ricotta, strawberries and orange segments. Enjoy!